I’ve been loving the fresh, juicy böğürtlen (blackberries) so much that I baked two different tarts in the past few days. At the pazar here, berries seem to be going by the wayside and making room for summer stonefruits and figs. 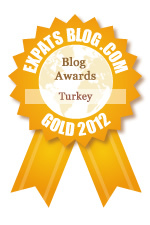 You can still find a few çilek (strawberries),frambuaz (raspberries), kiraz (cherries) and most recently, böğürtlen. Over the weekend, I blended some softer berries for a breakfast shake and reserved the more plump blackberries for baking. I made a similar tart recipe last summer by using plums. Now, the first tart I made utilized the same ingredients except I substituted orange zest for the lemon. The second tart I made was based on a similar idea, but I introduced dried coconut flakes and a crumbly streusel into the mix. This is the tart that made me gasp and even impressed myself. Even though I am a seasoned baker, I still am surprised by how wonderful a dish can turn out sometimes. I encourage you to experiment in the kitchen because you never know what tasty delight you might create. 1. Prepare your tart pan by spraying with nonstick spray and lining with parchment paper. 2. Then, on a floured surface, roll out the tart dough into an 11-inch circle about 1/8-inch thick. Carefully, roll up the dough onto your rolling pin. Press the dough into the metal tart pan and up the sides. Then trim the top of the tart so it is flush with the top of the pan. 3. 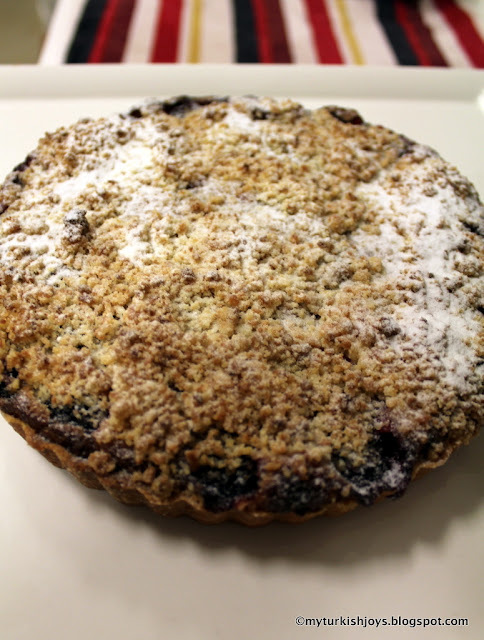 Place the tart shell in the freezer to chill while you make the filling and streusel. 4. Roll up the dough scraps. Flatten into a disk. Wrap with plastic wrap and freeze. Reserve to make another tart shell. 1. Melt the butter in the microwave or in a saucepan over low heat. Let cool. 2. Place the remaining ingredients in a medium sized bowl, using a whisk, stir together. 3. Add the butter. Or you can place everything in the food processor and combine until you get small crumbs. Set aside in the refrigerator until ready to use. This is what the streusel crumbs should look like. 1. In a medium-sized mixing bowl, cream together the butter and powdered sugar, using an electric hand mixer or stand mixer. Blend about 2 minutes until smooth. 2. Then, add the egg yolks, one at a time, mixing until well blended. 3. Add the lemon zest, salt and dried coconut. Mix again. 1. Place berries and the above ingredients in a large bowl. Toss to blend and cover berries. 1. Preheat oven to 350F/175 C.
2. Remove tart shell from freezer. 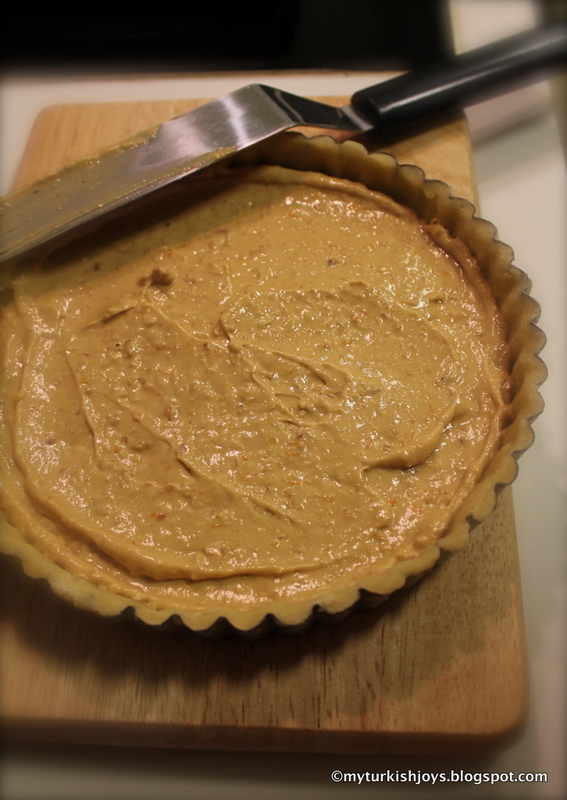 Using a rubber or offset spatula, spread the filling evenly across the tart shell. 3. Then add the berries, including any the liquid in the bowl. 4. 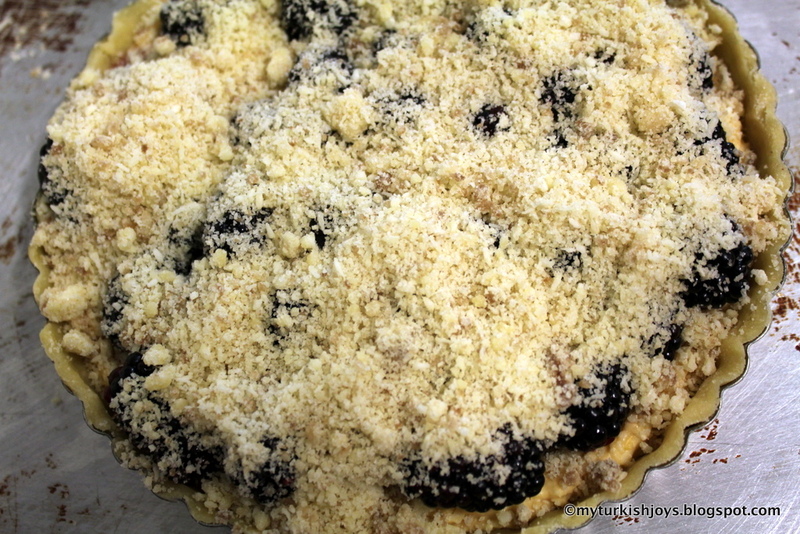 Evenly cover the top of the berries with the streusel crumbs. 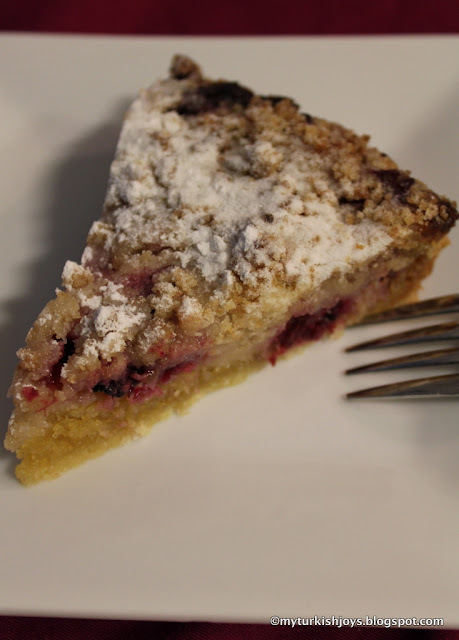 You will not need of all the streusel, which can be reserved in the fridge for another dessert. Before baked: An even layer of streusel crumbs over the tart. 5. Bake the tart until the topping is golden brown and the berries start to bubble, about 45 to 55 minutes.